I am making three memorial tie quilts for a women and her two sons. She wanted them to be crazy quilted with one inner border and one outer border. Any suggestions on how to quilt the outer border. It will be 7 inches wide. They are really nice and will be treasured! Sorry I'm no help with the quilting! How about a tie border? Make two diagonal lines, 3" at bottom and 1.5" at top, with a square or V at top, at the smaller of the ends, so it looks like a tie. Then another next to it going in the other direction, so that one tie is up and next is down. 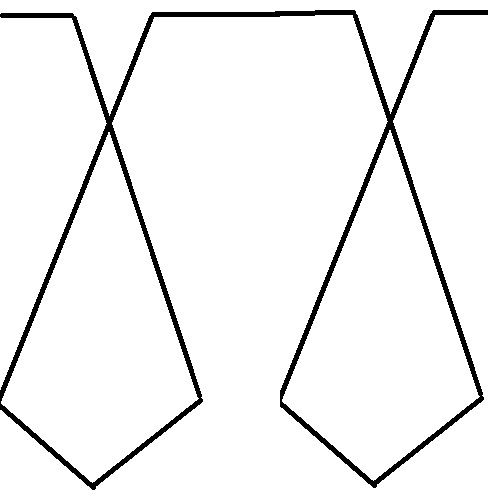 You could even squiggle different lines on the ties to differentiate them. Would like to show a drawing, but don't know how. Hope you can vision my thoughts. In the top border, you could write in thread "In memory of ......" or something special to them. Very nice quilts, by the way. This was exactly what I wanted to suggest. It would be a bit like piano key quilting, but not straight. Whose ties were they? Interests of that person.sorry love the quilts . Wouldn't you also need a V at the bottom since ties aren't flat across the bottom? Ignore the lines in between the 2 ties. I drew 2 ties and repeated them. I couldn't figure out how to get it to not print the lines between the 2 ties. QuiltnNan - that is wonderful and would be continuous. You are a genius! Nan that is perfect!!!! I love it!!!!!! 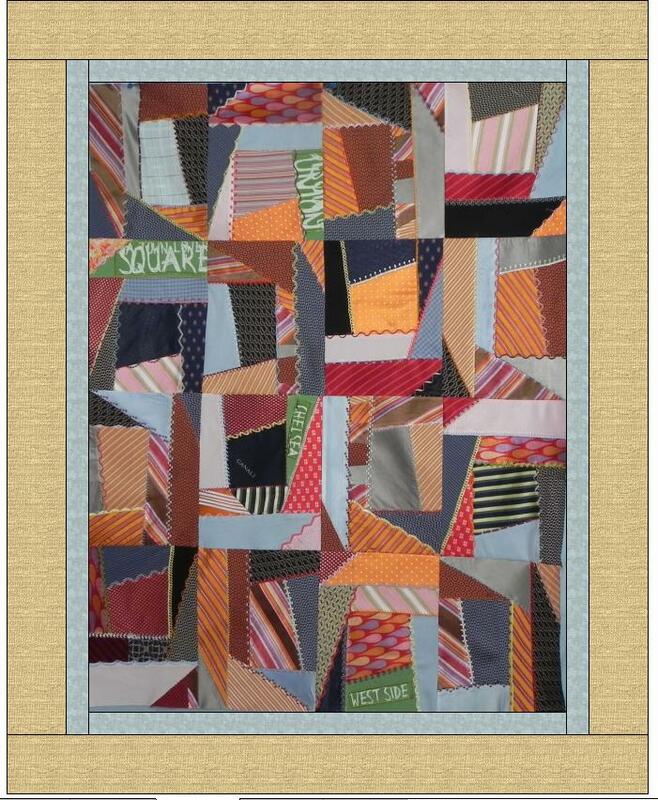 The women wanted a quilt made from her deceased husbands ties. She will get one .... the other two for her sons. The problem was she only had 22 ties. So we included her husbands shirts as well. Wow beautiful quilts. Great job. I can't advise you on the quilting, but I think they are beautiful. They will be cherished by family members. The quilts are great. 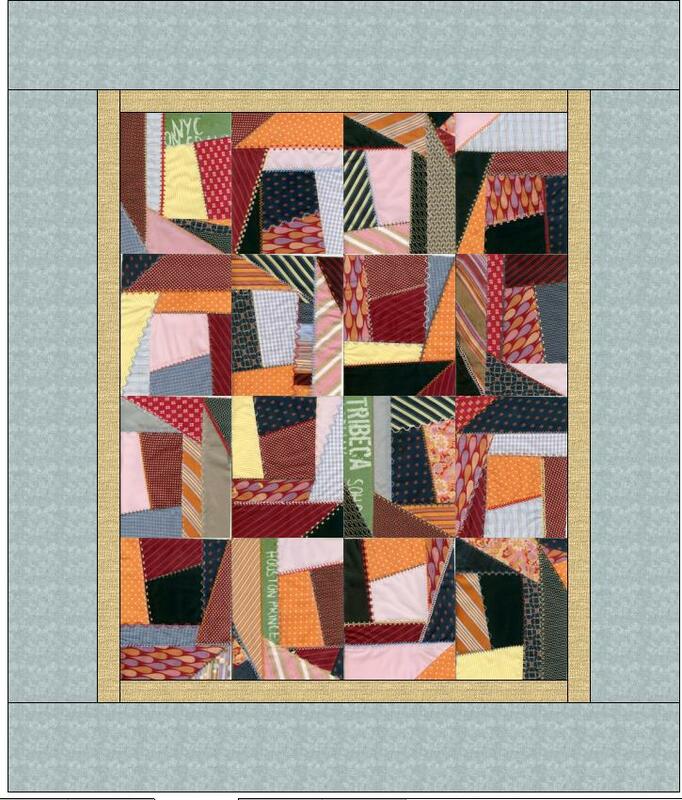 The quilting ideas are perfect. The creativity of the sewers on this board is unbelievable. No matter the question, there is always someone or two with an answer. I love this board. 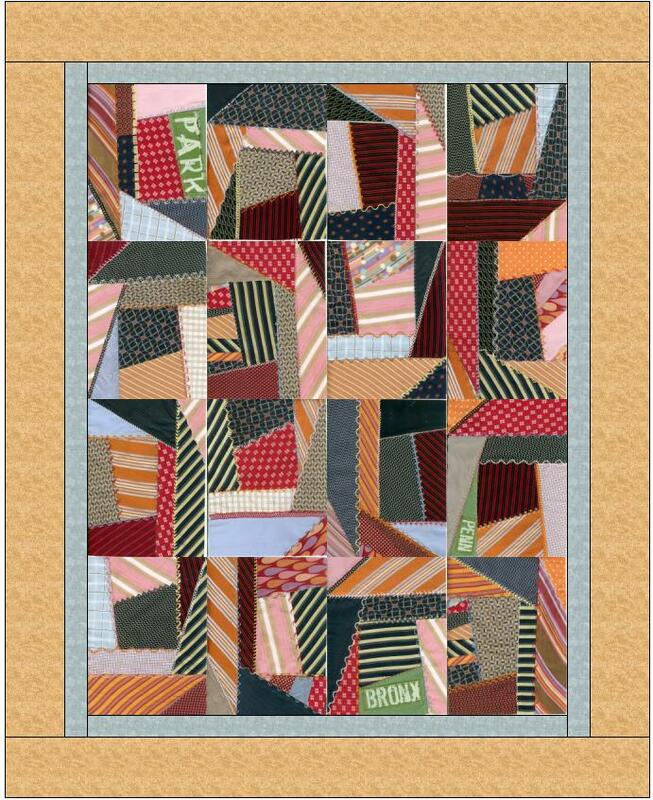 Great ideas here on the quilting of your quilt. BTW, great job!